The infinity symbol is the ultimate sign of needless love. A great gift for your lover. 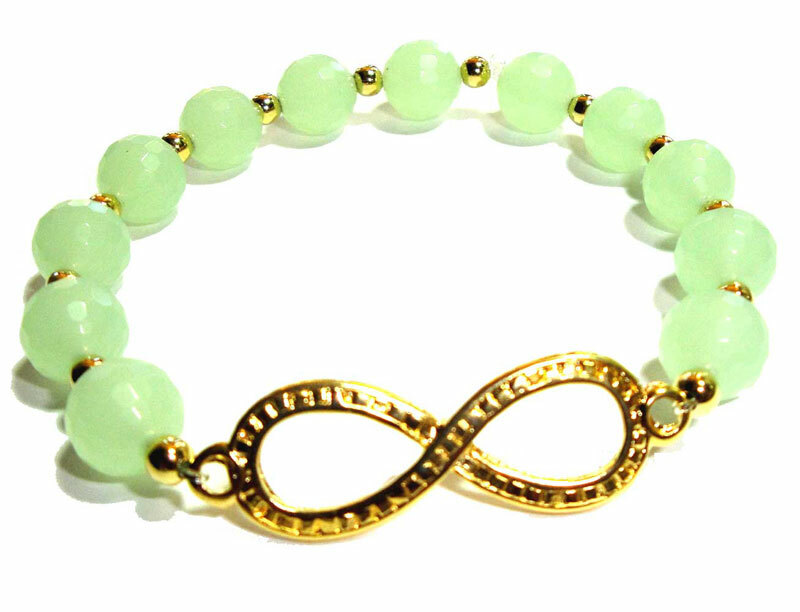 This stunning bracelet is handmade using multifaceted green quartz beads that are accentuated by a gorgeous goldfilled pendant.